This photo shows a working program at CGTV. 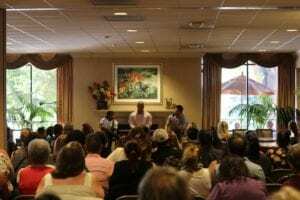 Adrian R’Mante, aka Esteban from The Suite Life of Zack and Cody, is accompanied by a master teacher and actor Geno Segers from Pair of Kings and Carlon Jeffery from A.N.T. Farm. Our talented superstar teachers keep coming back because they love giving their passion to the future generation and harnessing their talent. And as CGTV produces new, huge talent like RJ Cyler and Bex Taylor-Klaus they just keep adding to their mega star teacher roster. 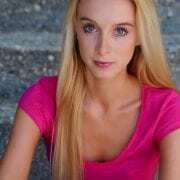 CGTV Graduate receives over 15 Hollywood Agent Call Backs! 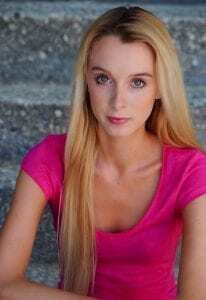 CGTV Graduate receives over 15 Hollywood Agent Call Backs! We love when one of our actors gets 15+ callbacks, it’s a great position to be in. With this much interest, you can interview and select the firm that you feel will represent you best. And, it is true validation that your talent is noticed by industry agents and managers. The below story is just one of many success stories from actors that have participated in CGTV programs. Don’t take our word for it, trust the testimonials of actual participants. The truth is No one succeeds alone. So thanks to family, hard work, and people who believed in me I got there!! I gained so much from that week, Invaluable industry info, friendships with like-minded people, new opportunities, and I learned from actual industry working professionals. I forgot to mention that I was packaged professionally and got to perform in front of 15+ agents. Just saying! Adrian created a door of opportunity that I went through. Everyone in my class except one got at least one callback. Some of my friends received multiple ones. None of us can control the outcome the only thing we can do is prepare and walk through the door when it opens. All that to say my experience was invaluable. For one week I got off the treadmill of my ordinary life, invested into my future and was poured into. It felt as if a part of me came alive again. I had a dream that had been shelved for years. And just being In that environment caused my fire for acting and life to return. I had no idea that it all started with one decision. I am still on that journey. No, I’m not famous and I haven’t been on TV, but I have done some local musicals, a web commercial, some student film projects. The fire and passion are still lit inside of me. I now am privileged to work with kids and use the arts to help build self-esteem, create relationships, and cultivate children in their gifts. This may seem small to you but for me, it is a way to give back. https://cgtv.la/wp-content/uploads/2016/08/12990835_10100254193526722_3803446360103207939_n.jpg 960 638 R'Mante https://cgtv.la/wp-content/uploads/2018/10/CGTV-Logo-300x106.png R'Mante2016-08-30 09:00:492016-08-30 17:30:59CGTV Graduate receives over 15 Hollywood Agent Call Backs! Reviews are no longer reserved for hotels and restaurants. Almost any business can be reviewed for their products and services, including talent agencies. While agencies are often thought to be scams or rip-offs, reviews from real actors will shed light on the legitimacy of a talent agency. CGTV is not a traditional talent agency but rather an opportunity for talent to connect with the top agents, casting directors and managers in the business. In this blog, we will be highlighting just some of the glowing testimonials CGTV has received from real actors. If you have questions about the legitimacy of CGTV, browse our website to find real success stories from actors who have been through our program. We feature honest testimonials from graduates and parents who have experienced the CGTV program. Questions or concerns? Call the CGTV team at 818-284-6689. 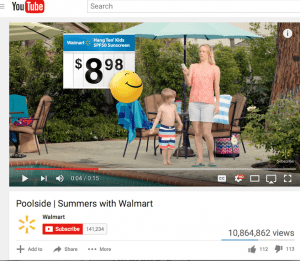 12 million plus Views Walmart Commercial. This is Jax. We knew he was a start from the moment we saw him in auditions. 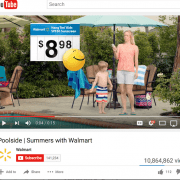 Walmart also saw his shining star and cast him in this summer commercial which has over 10,000,000 views on YouTube. Jax trained with Adrian R’Mante and CGTV where he was able to secure an agent and then become a working actor. Jax is one of over 1,000+ success stories created by CGTV! CGTV’s reviews are in and they are STELLAR! From television commercials to major Hollywood film productions, our graduates are starring and co-starring and living their Hollywood dreams. CGTV Grad accepted by AMDA! CGTV Grad accepted by AMDA! Celebrating more than 50 years as one of America’s premier conservatories for the performing arts, AMDA is recognized throughout the industry for its rich history and tradition of launching some of the most successful careers in theatre, film and television. And today, we are proud to announce that one of our most recent graduates has been accepted! This is a huge feat for him and sets him well on his way for continued success. Secondly, Dylan Cook secured an agent as a result of his live stage performance at the end of his CGTV VIP acting program. Dylan joins a long line of successful working actors that have graduated CGTV and continued their training in the performing arts at universities across the country. https://cgtv.la/wp-content/uploads/2016/08/10367159_177237322650900_3948931447204761450_n.jpg 960 540 R'Mante https://cgtv.la/wp-content/uploads/2018/10/CGTV-Logo-300x106.png R'Mante2016-08-18 09:00:332016-08-18 18:31:08CGTV Grad accepted by AMDA! CGTV Seeks Talent Globally. The truth is, CGTV could host auditions every week in Los Angeles and still come up with plenty of kids and young adults that want to be on TV and/or in the movies. In fact, it would cost considerably less than doing what we do which is to travel the globe looking for the biggest and brightest new stars this planet has to offer. That’s right planet! CGTV has helped kids and young adults with their acting careers from many countries and the list continues to grow. From Canada to Singapore, Mexico and then some, CGTV finds, nurtures and delivers new talent to Hollywood’s doorstops every year. Suite Life of Zack & Cody’s Esteban. 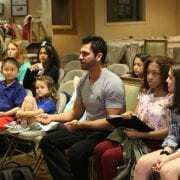 Not only is Adrian R’Mante an excellent actor and well known Disney icon, he is a teacher first and foremost. It is in the classroom and theatre environment that his other passions and skills shine. From the ages of 3+, kids and young adults alike have come to know Adrian as a tough mentor, coach and director that brings out the best in his acting students. And nurtures them with confidence and self esteem. Adrian is featured here at CGTV’s VIP Acting Program in Hollywood, CA. 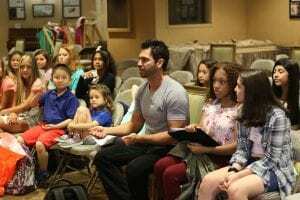 Kids audition all over the globe to be one of the 5-10% of the kids that are invited to work with Adrian R’Mante in California and then perform in front of his personal Hollywood Agent connections. With an over 80% success rate in getting a professional agent call back, CGTV is the leading premiere in training young talent both for television and the big screen. 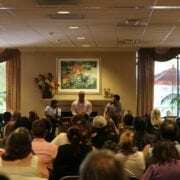 But wait, there’s more… Adrian’s star studded celebrity teachers have also featured on many Disney shows you have seen and they provide additional training onsite during the times you are not working directly with Adrian. Read some of our success stories on our blog and hear from working actors like RJ Cyler, (Power Rangers, Me, Earl & The Dying Girl) Bex Taylor-Klaus (MTV Scream and Arrow) and more! www.CGTV.LA/Blog. 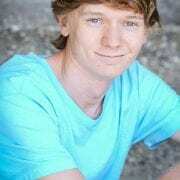 CGTV Grad scores Brad Pitt film. Acting is a difficult business and actors must become accustomed to handling rejection with grace and humility. Because it is such a tough industry, we are equally as proud of our graduates whether they score a cornflakes commercial or a role in a Brad Pitt film. We find our students by hosting auditions in cities across the globe and are probably headed to your state (or close by) sometime soon. 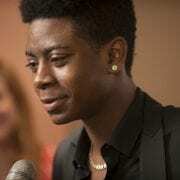 It was in Florida that we found RJ Cyler. 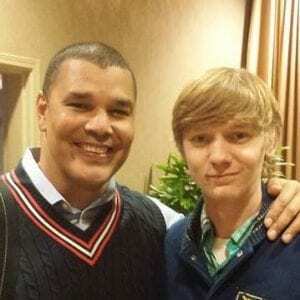 We have boasted a bit about his accomplishments since attending CGTV’s acting program. We are proud to announce that RJ Cyler whom has starred in Me, Earl & The Dying Girl and is currently filming Power Rangers 2017 in which he was cast as The Blue Ranger. Now, we hear he has been cast in a Brad Pitt film. CGTV was an amazing and fruitful experience for Kiara Corkett. 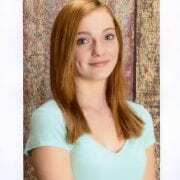 During her program she spent time working with our CEO, Adrian R’Mante from The Suite Life of Zack And Cody as well as Bex Taylor-Klaus from MTV’s Scream and Arrow and many more celebrity actors. In fact, CGTV found Bex Taylor-Klaus at an audition in a local city the same way we found Kiara Corkett. Since her graduation, Kiara is working with an agent and has a busy summer ahead. She is currently shooting the movie Bagman, two commercials for Canada’s 150th birthday next year, two web series (She’s Back In My Life and another whose title is yet to be announced). These projects span the genres of horror, drama and even sketch comedy and part of that reason is due to the training in versatility provided by CGTV. 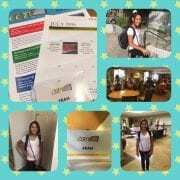 The family keeps us up to date on her progress and is very grateful to the program and Adrian himself. Skeptic is won over by CGTV. Dylan Madison was skeptical about CGTV but that didn’t last long! Listen to what one of our recent CGTV Graduates had to say about our acting program and what it did for her. At CGTV, we strive to do the impossible – make your Hollywood dream come true. We provide the training and real life experience required to shine both on and off camera.